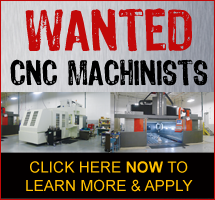 Dynomax Inc. designs, manufactures, and develops high-precision machined components, injection molding and tooling, sub-assemblies, automated work cells, specialty machines and machine tool spindles. A rapidly growing ISO 9001:2015, AS9100 Rev D and ITAR registered company, Dynomax is committed to making ongoing investments in its technology, facilities and workforce to develop vertically integrated solutions that enable our customers to improve their competitive advantage in today's marketplace. Headquartered in the Chicago, Illinois area, our customers include some of the largest names in the aerospace, defense, transportation, energy and medical industries.